Smart SEO prides itself in it’s Google Advertising Services. Using Australian Google AdWords experts, Smart SEO is dedicated to helping your business achieve results with Google AdWords. At Smart SEO, our optimisation services cover all aspects of your business. Whatever your online marketing needs are—we’re here to assist. 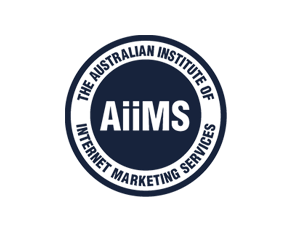 As Australia’s leader in Smart Agency services, we are here to assist with any Google AdWords (Google Advertising) needs for your business. When you’re ready to Drive Optimised Traffic to Your Site, you can count on Smart SEO. With a full scope of Google AdWords and Online Advertising services, we will help you create the best strategy for your business. Keywords and Key Phrases That Drive Results! Through our Google AdWords program, our team of experts will develop a concise strategy that will employ high-impact keywords and phrases that will reach the audience you need. With a focus on your target market, you will be in the money in no time. We also stay on top of the latest Search Engine Optimisation Techniques to ensure your business always edges out the competition. Smart SEO is constantly aware of new trends on the market so we can keep your business at the top of Search Engine Rankings no matter what. If you want results, you can count on us. Whether you are just getting your business started or you need to re-evaluate your current marketing strategy, we can help. Our expertise can accommodate large or small projects. Simply put—we will tailor our approach to the individual needs of your business. It’s never been so easy to enhance your Google AdWords performance. Whatever your budget, we can assist. We have worked with large corporations and small start-ups. Smart SEO gives you the personalised approach you need to give your business a leg up on the competition. With so many others competing for the same customers, isn’t it time to take a new approach to your online marketing presence?